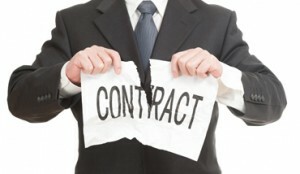 Timeshare Cancellation: 2 Things You Must Know! Tired of struggling to make ends meet every month? Then you need to know how to get rid of a timeshare. Call us today to find out more. Have you ever looked over your monthly or yearly expenses to try to figure out where you could cut back? Many people decide they need to trim up their budget due to a change in jobs where they make less money, because of another big expense, or maybe just because they want to work less and live more frugally by choice. Whatever the reason, frivolous things that aren’t absolutely necessary are the first to go and for people who have timeshares, figuring out how to get rid of a timeshare becomes important. The problem with a timeshare is that it can be difficult to even budget for, even if you do have plenty of money, because the fees go up each year and you never really know how much they will increase. In addition the cost of other travel expenses like airfare also tend to increase each year making travel more expensive than it used to be. The problem with a timeshare is that you will spend the money regardless of whether you use it. That money could be used for something you actually need or even just saved for retirement. A timeshare cancellation is the best option to get out of your contract for good and start planning your vacations in a way that works for your budget. You will have much more control over how much you spend if you can plan vacations without worrying about making it work around your timeshare. For example, you can often score really great airfare deals last minute or during sales but if your timeshare isn’t available you won’t be able to take advantage of that. Learning how to get out of a timeshare is the first step in taking back the control over how much you spend on vacation and just where you travel to in general. If you need to cut back because you lost your job or you have less income, a timeshare cancellation will give you peace of mind. You may have to stop traveling for a few years until you get back on your feet but at least you will have that extra money to do whatever you want with. With a timeshare, any money you spend that you don’t use because you can’t afford the other expenses involved in travel is just wasted money. Then you will really want to know how to get rid of a timeshare so you don’t feel like your limited funds are being wasted. If you are trying to put money aside to pay for something else like a new roof for your house, a new car, or even for your child’s college fund, a timeshare exit team can help you get out of your contract so you can put all those maintenance fees toward your own maintenance fund instead of some resorts’! It can be hard to make cuts in your budget especially when it impacts your lifestyle. But the truth is, you can still travel and do fun things with your family. 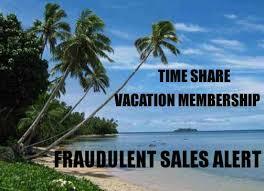 A timeshare doesn’t guarantee that you will travel anyway. A timeshare cancellation will just ensure that you can decide how you spend your money, when you go on vacation, and if you don’t go on vacation, you’ll know you didn’t waste any money, you actually saved it!